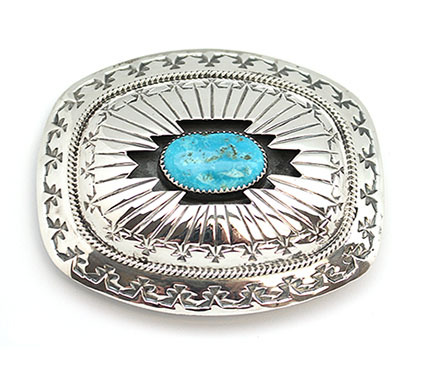 This sterling silver rectangle shadow box buckle has one free form turquoise with a stamp border and twist wire. It measures approximately 3" by just under 2 1/2" and has a 1 1/2" buckle back. 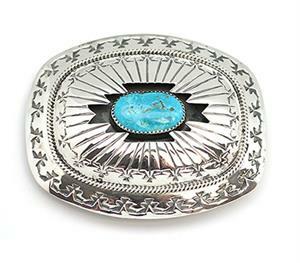 Native handmade by Navajo artisan Wilbert Muskett Sr. Color shade of stone will vary.